Around the holidays, especially if you are the one who is hosting the holiday dinner, you likely spend a lot of time in the kitchen. Wherever possible, you should try to lessen the workload that you have so you can enjoy more time with your family and friends. One way to do this in the kitchen specifically is by cooking some side dishes in the crockpot, so they can slow cook while you enjoy other fun parts of the holiday. These are a few ideas to try this season. For many people, the holidays just aren't the holidays without macaroni and cheese. 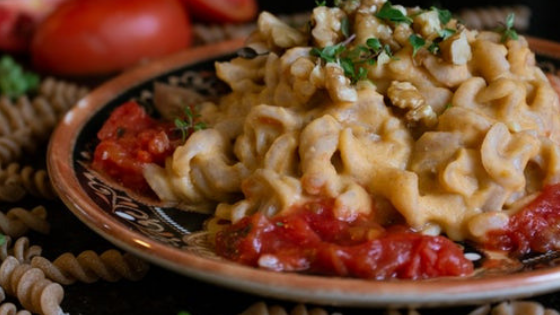 There are a lot of different variations of crockpot mac and cheese, but we think this one looks extra delicious. And it is even better because you don't even have to boil the noodles first. It can't get any easier for you in the kitchen with this recipe. Everyone loves some yummy mashed potatoes around the holidays, and this recipe is even better because of the added cheese! If you want creamy as well as cheesy, and, of course, easy, then this is the recipe you want to try. Traditionally, mashed potatoes take a lot of effort, but you can relax a bit and enjoy all of the flavors when you try it this way. This is almost a two for one because not only are they delicious, but they also will make everything smell great in the kitchen. Beyond that, who doesn't love some cinnamon apples as a dessert after dinner or even as a side? Cooking them in the slow cooker with this recipe also helps to best bring out their natural flavor, so it is the best of both worlds by being easy to make and better than other methods. Now that you have some recipes to try, it is time to get cooking! if you are hosting this year and need a new place to call home that allows you to host, be sure to check out these apartments in Chicago. Be sure to stop by today to take a tour to see if we have something that fits your needs this holiday season and beyond.